For a very long time, I have not joined this race. Come Sunday of this week, it will be the 38th Season already. Last time I joined, it was the 35th. It’s a race most runners look forward to. I’ve been there. I’ve felt that. I still feel that way this time. I wanted to run…I simply cannot. Plan your holidays: 9 long weekends in 2015 | ABS-CBN News. As usual, I am early at the venue. Gunstart is at 4am. I came too early at 2:30am. I was able to see some few familiar old faces. Timmy and Ronnel, Boo and Vivs, Jon (Hugo) before the race. At near gunstart, Blas, Mccoy, Bong, Rej, Mark and Bea, Joy, Rania, and James. 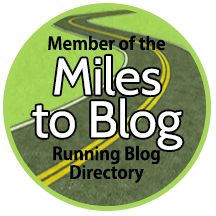 During the race, in it’s entire course, Gail and Noy, Running Diva, Natz, Alheyn (Tin), Jestoni the Mental Patient, Craig with Justin, Rico, and the Boring marshalls – Nonong, Edwin, Jet, Rod, Topher, and Julius. I clocked at 1:05 in the first 10K. 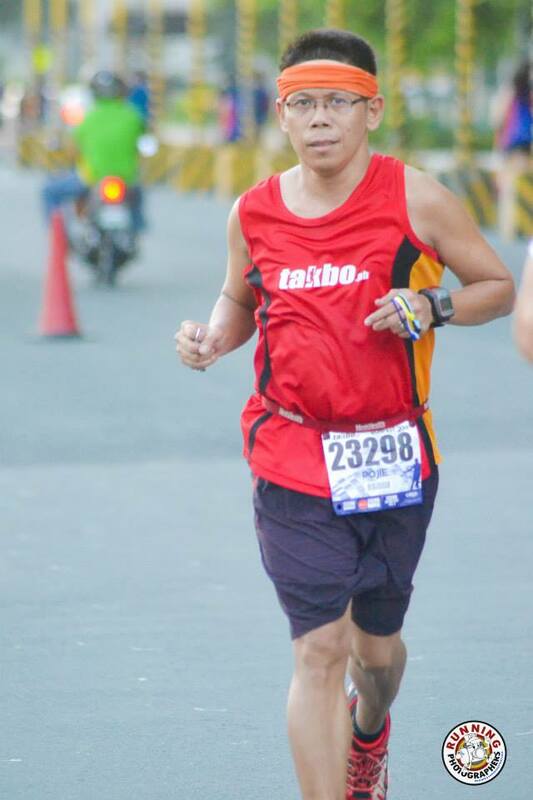 I knew then that If I will maintain my pace, I will finish at 2:10. It’s easier said than done though, but I managed. Official Result released at the same night, I finished in 2:10:34. It was a punishing route for the unprepared. Kalayaan Flyover + C5 ramp in the last 1K. Not to mention the gradual declines and inclines in Lawton Avenue to Gate 3. Very nice route for me. Challenging, but very nice! The route was well-marshalled. I don’t think anyone would ever get lost in this route. The distance markers are also well-placed. Except for the turn-around-route-band-giver, (they should have spread-out over an arms distance to each other, rather be closely standing together – which creates a funnel of stranded runners) everything’s just perfect. After crossing the finish line, I immediately proceeded to find the loot bag and finisher’s shirt counter.Found a place to sit and stretched my legs. Mark Lourielle of Team Powerpuff, also from Team MOA before, sat beside me after the race. He just won the 10K category and was seriously running. I shouted out to him twice before the finish line. We were just at a shouting distance in Lawton and at the last 2K. Jogger Natz bagged 2nd place. He’s just smiling while running. They are racing a 10K while I am on my way to finish my 21K. 🙂 amazing people. After taking in a bottle of Pocari, and Lipovitan, and a gulp of water, I walked around and proceeded to Kalayaan Avenue for a ride home. The sun is a bit hot for this particular morning. It was a good day for racing. Thanks to Jinoe and Que Gavan. 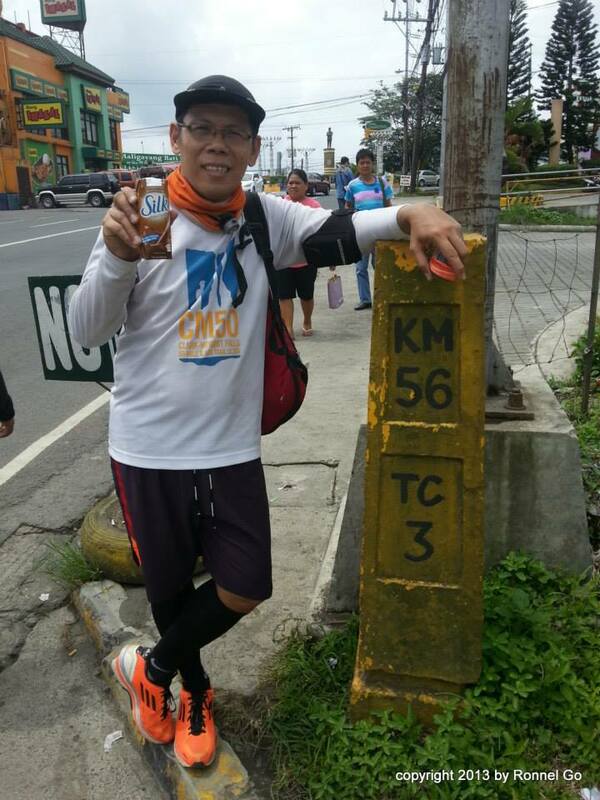 Kudos to the Race Director, Doc Lyndon Cosico. Another job well done! Same goes to all the marshalls. 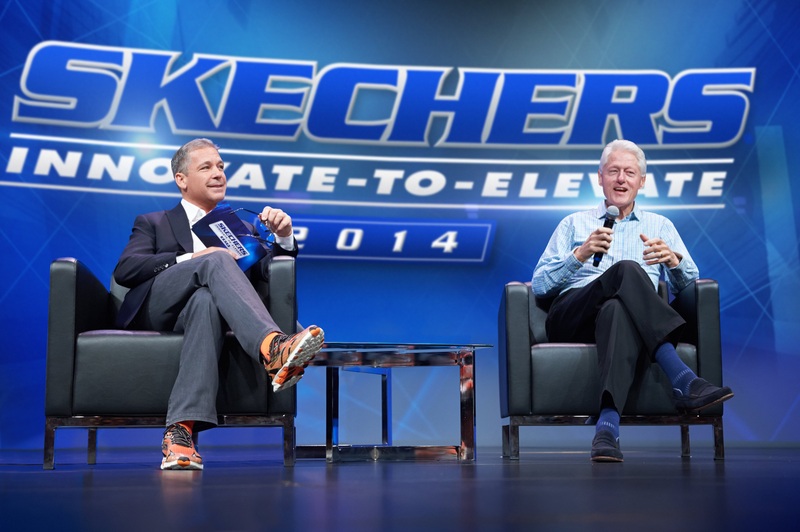 MANHATTAN BEACH, Calif. – President Bill Clinton delivered the keynote address at the annual Global Conference for SKECHERS USA, Inc. (NYSE:SKX), which was recently called “the hottest major (footwear) brand in the U.S.” by Princeton Retail Analysis*. Adding to the motivational themes of the day, the conference also featured an appearance by elite runner Meb Keflezighi, who was wearing Skechers GOmeb Speed 3 shoes when he became the first American male in over three decades to win the Boston Marathon. This announcement contains forward-looking statements that are made pursuant to the safe harbor provisions of the Private Securities Litigation Reform Act of 1995. These forward-looking statements include, without limitation, the Company’s future growth, financial results and operations, its development of new products, future demand for its products and growth opportunities, and its planned opening of new stores, advertising and marketing initiatives. Forward-looking statements can be identified by the use of forward looking language such as “believe,” “anticipate,” “expect,” “estimate,” “intend,” “plan,” “project,” “will be,” “will continue,” “will result,” “could,” “may,” “might,” or any variations of such words with similar meanings. Any such statements are subject to risks and uncertainties that could cause actual results to differ materially from those projected in forward-looking statements. Factors that might cause or contribute to such differences include the resignation of the Company’s former independent registered public accounting firm, and its withdrawal of its audit reports with respect to certain of the Company’s historical financial statements; international, national and local general economic, political and market conditions including the ongoing global economic slowdown and market instability; consumer preferences and rapid changes in technology in the highly competitive performance footwear market; sustaining, managing and forecasting costs and proper inventory levels; losing any significant customers, decreased demand by industry retailers and cancellation of order commitments due to the lack of popularity of particular designs and/or categories of products; maintaining brand image and intense competition among sellers of footwear for consumers; anticipating, identifying, interpreting or forecasting changes in fashion trends, consumer demand for the products and the various market factors described above; sales levels during the spring, back-to-school and holiday selling seasons; and other factors referenced or incorporated by reference in the Company’s annual report on Form 10-K for the year ended December 31, 2013 and its quarterly report on Form 10-Q for the three months ended March 31, 2014. The risks included here are not exhaustive. The Company operates in a very competitive and rapidly changing environment. New risks emerge from time to time and the companies cannot predict all such risk factors, nor can the companies assess the impact of all such risk factors on their respective businesses or the extent to which any factor, or combination of factors, may cause actual results to differ materially from those contained in any forward-looking statements. Given these risks and uncertainties, you should not place undue reliance on forward-looking statements as a prediction of actual results. Moreover, reported results should not be considered an indication of future performance.